Dimplex MPH500 500W Coldwatcher Multi Purpose Heater - John Cribb & Sons Ltd, UK Electrical Distributors, Dorset, Hampshire, Wiltshire, Somerset & the Isle of Wight. 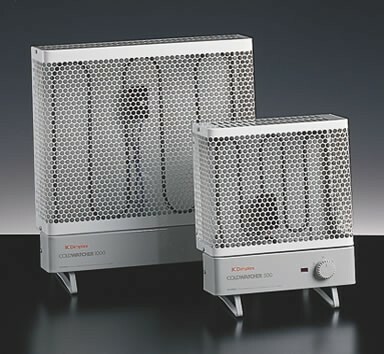 These compact, durable heaters are purpose designed where reliable frost protection is required. Professionally tested against the British Standard for frost protection, they offer unrivalled ‘peace of mind', and are suited to a wide range of applications including lofts, sheds, greenhouses and conservatories. Thermostatic control with frost protection, integral wall mounting/ floorstanding bracket, IPX4 rated. Willow white and birch grey trim. Rugged and long lasting steel construction. Professionally tested for frost protection to BS EN60675:1995. Supply interrupt and safety cut-out.